How a modulating furnace can help you achieve maximum comfort in your home. If you set your home�s thermostat to 72 degrees, a single stage furnace will typically turn on, and blast hot air through your home, until it reaches up to 75 or 76 degrees. Then, it shuts off until the home reaches as low as 68 degrees, before turning on again. A two-stage furnace has slightly less variance, as it has two flame settings instead of one, but the temperature of the home will still range from 3 to 4 degrees higher or lower than the thermostat setting of 72. These furnaces are noisy because they turn on and off frequently, which also makes them less efficient, resulting in higher energy bills. Additionally, they have more trouble distributing heat evenly throughout the home, resulting in some rooms being warmer or colder than others. What makes a modulating furnace different? A modulating furnace has far more than one or two fan speed settings. It is able to adjust the fan speed in small increments, so that the home�s temperature never varies more than 1 or 2 degrees from the thermostat setting of 72. This kind of furnace runs continuously to maintain the thermostat setting, which means warm air cycles constantly throughout the home, resulting in a consistent temperature throughout every room. Modulating furnaces are also very efficient because they turn on and off far less frequently, which lowers monthly energy bills, and makes their operation much quieter than their single and two stage counterparts. Some furnaces modulate in as little as 1% increments, offering maximum comfort and great energy savings. Think of the modulating furnace like driving a car: Single and two stage furnaces are like driving in the city, which is less efficient because of the frequent starts and stops. The modulating furnace is like highway driving, where gas is used more efficiently because once the desired speed is attained, only small adjustments are required to consistently maintain that speed. Driving up a hill requires a little more pressure on the gas pedal, like cold weather requires the modulating furnace to produce more heat, and going downhill requires very little acceleration, like when the outdoor temperature is milder, and the furnace works less to maintain the home�s temperature. Is a modulating furnace right for your home? 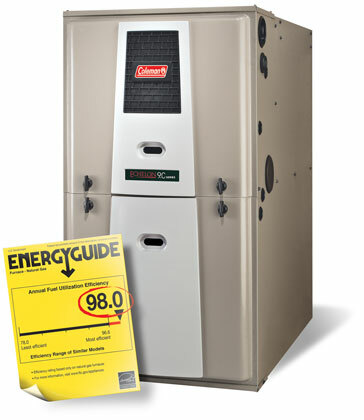 What other benefits does this type of furnace offer? How much could you lower your monthly energy bills by installing one? Shipton�s Home Comfort Advisors can help you learn everything you need to know. Contact us, and start enjoying this winter in complete comfort.